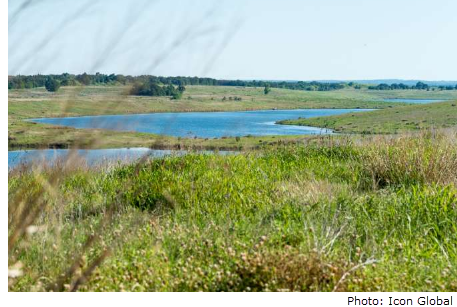 ​​​​ ROCKDALE, MILAM COUNTY – Sandow Lakes Ranch, the 30,000-acre property located near Rockdale and 45 miles east of downtown Austin, is for sale for $250 million. The ranch was previously used as an industrial facility for metal manufacturing firm Alcoa. There are an estimated 200 million tons of lignite coal still on the land along with an industrial building and mining property. The property is comprised of fertile mine land with 14 scenic freshwater lakes. The land is the largest listing for private ground, water, and surface rights in Texas right now spanning across three counties.